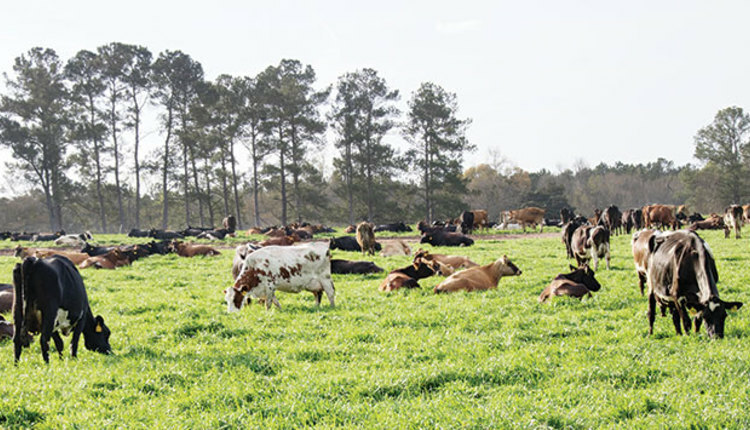 Herds milked with automated milking systems pose the opportunity for a variety of feeding styles. 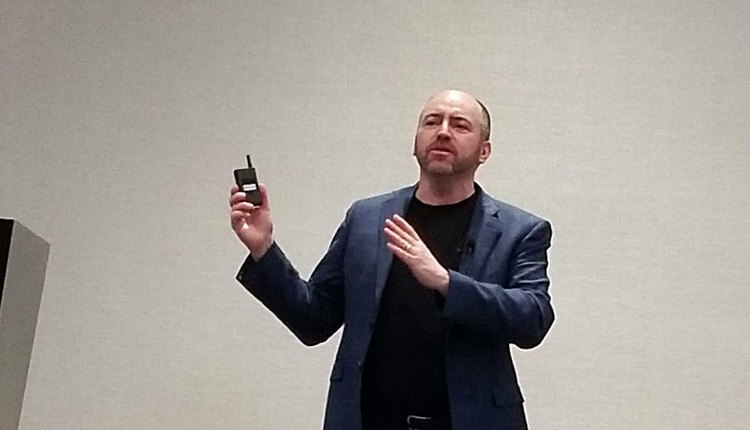 The author has a dairy nutrition consulting business, Paradox Nutrition LLC, West Chazy, N.Y.
Robotic milking systems present additional opportunities and challenges when it comes to feeding dairy cattle. Robotic milking systems are becoming more popular. The obvious potential benefits of these systems include reduced labor expenses, additional milking frequency for higher milk yield per cow, and improved precision of feeding from the robot’s grain feeder. Robot grain feeding recommendations vary, and some people wonder what the best strategy is for farms. For the most part, it depends on the dairy. Grain offered in “free-traffic” robotic milking systems is intended to attract the cow into the robot to be milked, but cows can go eat at the feedbunk at any time without going through the milking robot. In “forced traffic” (also called guided flow) robotic milking systems, cows must go through the milking robot in order to reach their ration in the feedbunk. Cows may or may not actually be milked each time they pass through the robot so, hopefully, they still go to the feedbunk at least nine times per day. Depending on cow comfort and social issues, there may be more concerns with total eating time, slug feeding, and lying time in “forced traffic” robotic milking scenarios. As we develop feeding plans for robotic dairies, we need to remember to not let robots change what we know to be nutritionally correct. Because the rumen microbes are digesting feed and multiplying on a minute-by-minute basis, we still need to strive to reduce the number of hours per day in which the rumen is acidic. 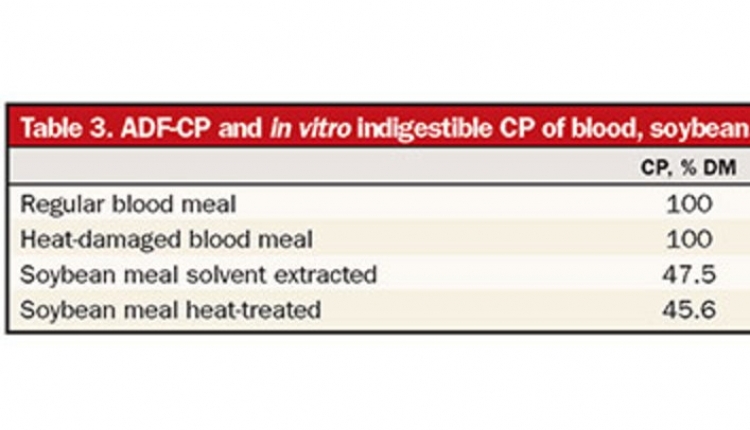 Subclinical acidosis can limit milk production because of reductions in fiber digestion and microbial protein production. Rumen health is best if cows eat many small meals per day of both grain and fiber. When you feed a total mixed ration (TMR), every mouthful is supposed to be a balanced ration. Such a ration controls rumen pH because grain is not being slug fed and chewable fiber is eaten throughout the day. Most robotic dairies include some grain with the forage in the feedbunk making a partial mixed ration (PMR). The rest of the cow’s grain is provided at the milking robot, potentially raising daily minutes of rumen acidity. 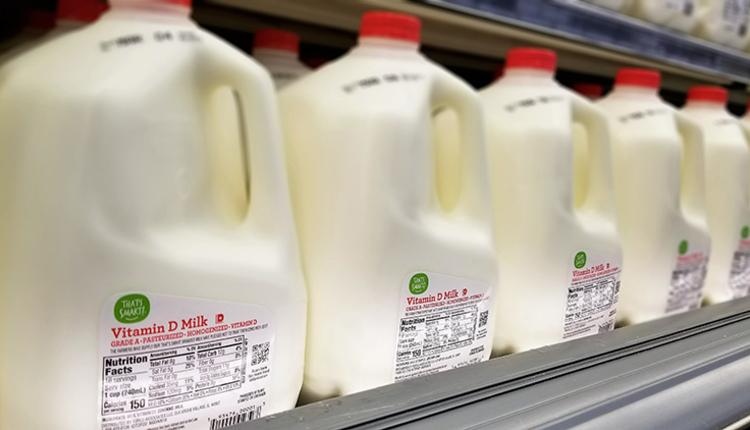 In one study at the University of Wisconsin, it was found that farms that offered higher levels of grain in the robot tended to produce less milk. With a low nutrient balance in the PMR, a cow that doesn’t eat all of its allowance of grain in the robot will have lower total nutrient intake and milk production will suffer. Grouping strategy also affects robot grain feeding. One-group systems, where cows in various stages of their lactation are grouped together, would likely feed more grain in the robot as it is their only option for target-feeding cows. 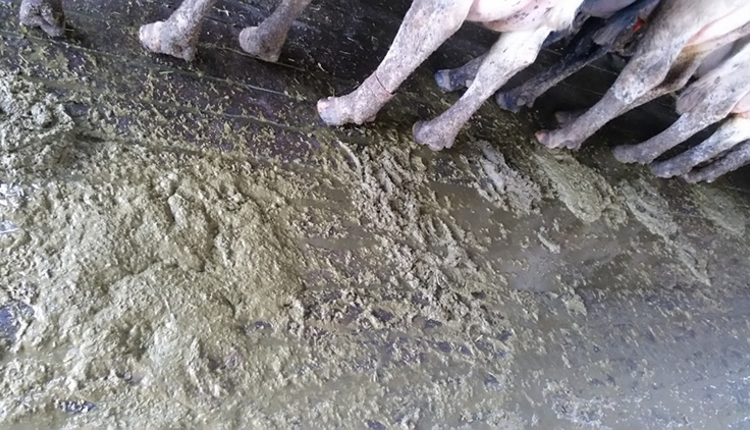 How much grain should be in the PMR versus in the robot to attract cows in to be milked at least three to four times per day yet not cause excessive rumen acidity? Feeding management, dietary starch, and fiber, as well as cow comfort, will determine the risk of rumen acidosis. What we don’t fully know is how much of a positive effect robotic milking systems have on lying time and meal size at the feedbunk. There should be some rumen health advantage since cows don’t have to stand in a holding area three times per day. Perhaps that advantage can make up for some of the disadvantages of feeding grain separately in the robot. In a recent Journal of Dairy Science review on feeding strategies and economics of robotic milkers, it was pointed out that with a typical milking time of 7 minutes and an eating rate of 0.55 to 0.88 pound per minute, a cow that is milked three times per day can eat a maximum of 18.5 pounds of grain per day at the robot. Despite this, the authors recommended a maximum of 9 pounds of grain per day fed in the robot. In a trial where 6.5 versus 17.6 pounds of grain per day were offered in the robot, there was no difference in voluntary visits by the cows. 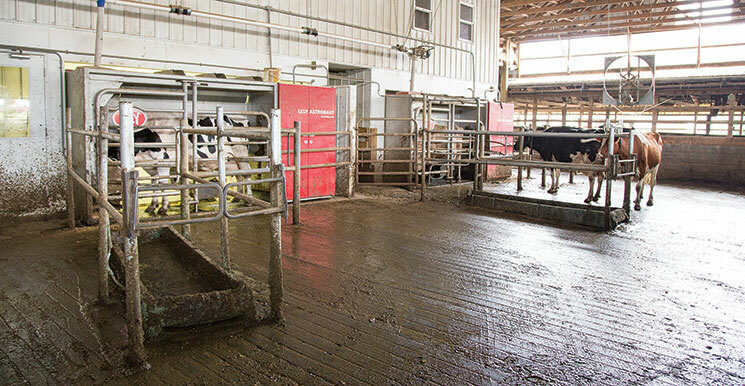 In robot herds, many factors affect milking frequency, including social issues between cows, barn design, flooring, cow health, stage of lactation, and the ration (PMR) in the feedbunk. One robotic dairy producer (averaging more than 90 pounds per cow per day) who feeds a fairly nutrient-dense, higher grain PMR told me that his high-producing cows just want to be milked regardless of the grain in the robot. This is the same producer who stressed that he wanted maximum free-flow in his system with no one-way gates that cows had to go through. He also said heifers must be in a separate pen from mature cows. In his herd, barn design and social issues were not limiters to milking frequency that otherwise might have needed to be overcome by utilization of grain in the robot to attract cows there. At the same time, I know another excellent robotic dairy producer with 60 cows in one group. He feeds his top cow a maximum of 18 pounds of grain per day through the robot. He insists that if he raises the amount of grain in the PMR and reduces the amount of grain fed through the robot, milking frequency drops. It must also be recognized that some farms will tolerate higher rates of fetching than others, mainly because of differences in labor availability. Farms that don’t want to fetch cows tend to feed more grain through the robot. It is likely that these farms have slightly more rumen acidosis risks as they feed more grain in the robot. Either that or they simply feed less grain and make less milk. But, in their situation, it may be the best management strategy for economic success. The physical form and palatability of grain in the robot are important. Generally, a pellet is preferred over a meal feed, and fines should be avoided as much as possible as they will reduce intake. Flavoring agents have had mixed success in promoting robot visits in research situations. Two grains available in the robot, one more nutrient dense than the other, may help to supply needed nutrients to early lactation cows and reduce energy intake for late-lactation cows to control body condition. 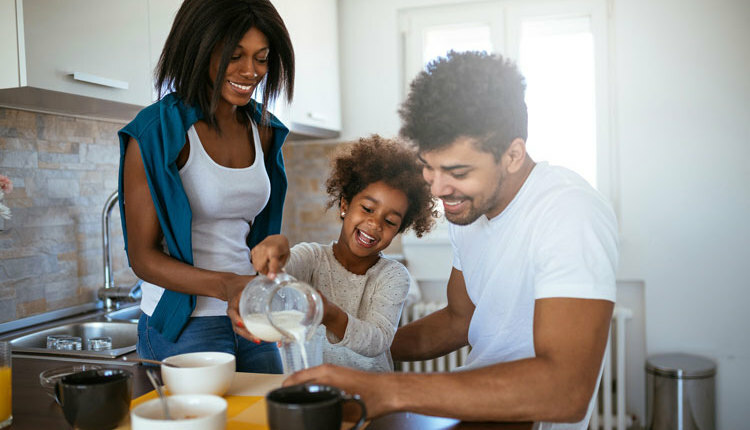 Early-lactation, high-producing cows generally benefit from additional starch, fats, and animal proteins. These ingredients can negatively affect palatability or pellet quality. 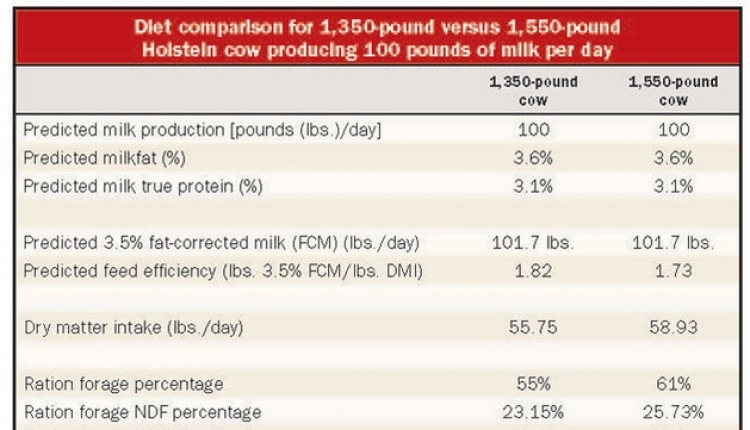 This could be a good reason to group cows according to production and then rely more on the PMR for these ingredients rather than grain fed through the robot. If more nutrients are in the PMR, then the robot grain can be a highly palatable, more fibrous pellet that will entice cows to visit the robot for milking yet not create as much acid in the rumen. So, what is the best grain feeding strategy for robot dairies? It depends! If your goal is primarily to reduce labor expenses, all cows are in one group, and you don’t want to push for high milk production, it probably makes sense to rely more heavily on the robot grain. But in larger herds with multiple groups and higher average milk production, it may be advantageous to put more nutrients into the PMR and feed a smaller amount of robot grain to encourage cows to visit the robot milker. As always, visit with your consultant team about your ideas. Any changes should be made very slowly, making sure that cows maintain daily milk production and visits to the robot.